Rehearsals started last week for RENT in Concert, a touring version of the famed American musical that will be hitting the UK next month. The show, which stars West End leading lady Kerry Ellis and ITVs ‘Superstar’ finalist Rory Taylor, will premiere at the Manchester Opera House on Thursday 25th April and go on to a further nine venues across the UK. The tour, which is now nearly sold out and has limited availability at most venues, will visit Manchester, Hackney, Liverpool, Newcastle, Cardiff, Birmingham, Stoke, Glasgow, Leeds and Southend between the 25th of April and the 5th of May. “I love touring and taking a show to people’s home towns,” Kerry said. “You get a real sense of appreciation and warmth which is lovely.” Kerry also finds the chance to travel an appeal as and she loves visiting the cities around the UK. 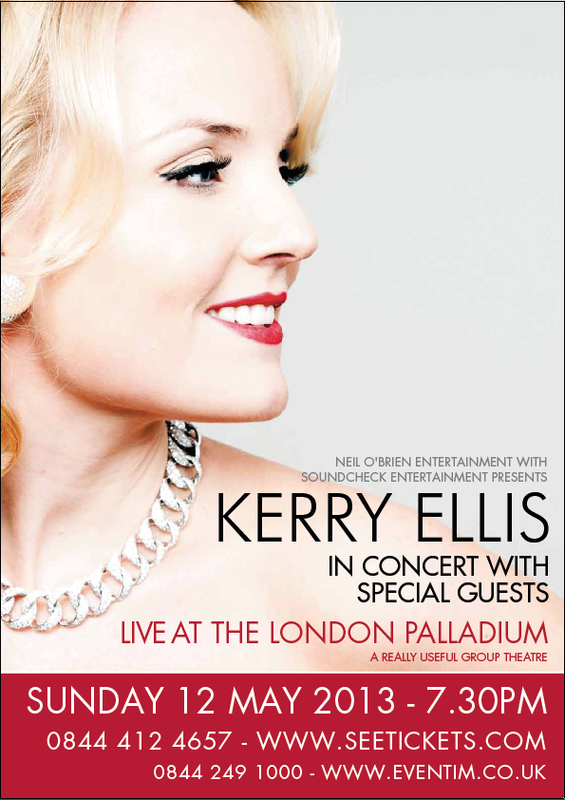 Kerry is busy working on other projects too, with an upcoming show at the London Palladium on the 12th of May. “I can’t wait,” she said. “It’s such an iconic building and I’m honoured to be performing my own show there, with of course some incredible guests. Then I’m off on tour again with Brian May,” she added. Kerry has worked with the Queen guitarist to promote the work of Born Free, a charity dedicated to ensuring the protection of wild cats in Africa, and the pair will be continuing a tour of the UK started last summer. Full tour dates and tickets are available through the RENT in Concert website. Tickets are available for Kerry’s concert at the Palladium here and full details of the Born Free tour can be found on her website. I think she’s my favourite musical star. What a great interview. Great stuff! A really nice and interesting interview.